Great Andre Thierry event coming up on May 12th. It benefits Conscious Kitchen, which is doing a pilot program with 2 or 3 schools in Richmond to teach the kids about healthier food choices at lunch and in general. Riggers Loft is looking to sell ten corporate sponsor tables that will include special food and wine pairings, preferred seating, an earlier admission and advertising in all of the collateral material. Those tables are $1,500 for eight people. The tables can also be purchased without the collateral advertising for $1,000 for the eight people. Same benefits just without the advertising. Finally, there are $100 tickets for individuals that would have similar benefits but the tables would be family style. SO there is something for everyone. General admission for the public is $30 but that does not include the food and wine pairings or seating. There will be four different food purveyors all doing Creole cooking to be in the theme of Andre's music. 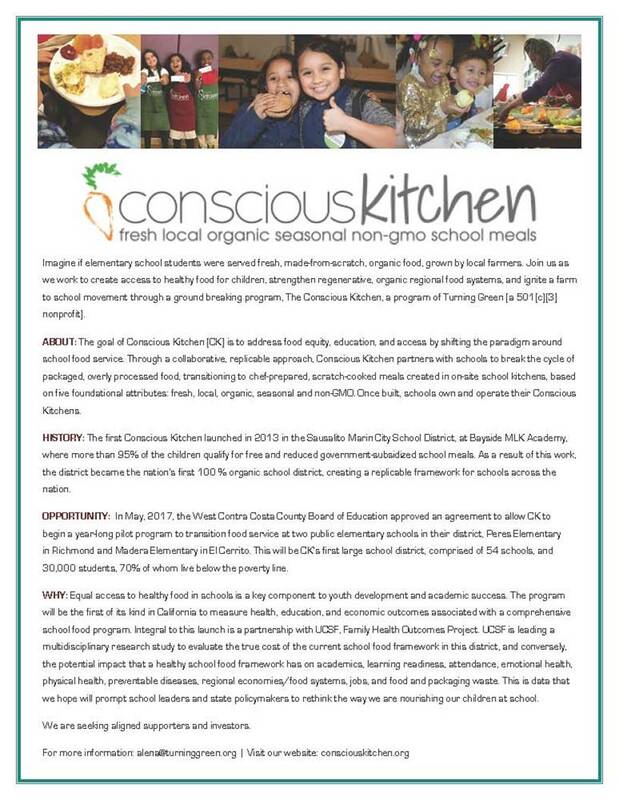 A good percentage of all the tickets and tables goes directly to the Conscious Kitchen program. 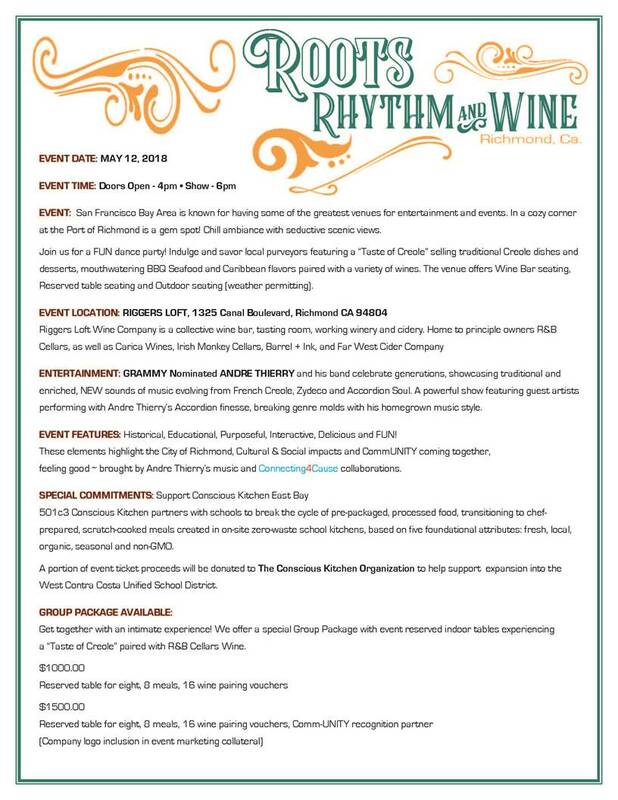 This will be a great event for Richmond. Definitely increase awareness of all the great happenings that are taking place in town.